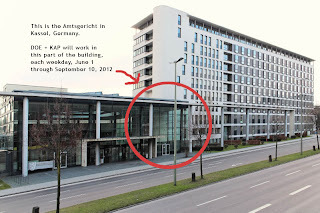 DOE Projekts and KAP artists will work together each weekday in the circled area of the Amtsgericht. Our plan is to work from 10am to 1pm, and again from 2pm to 5pm. 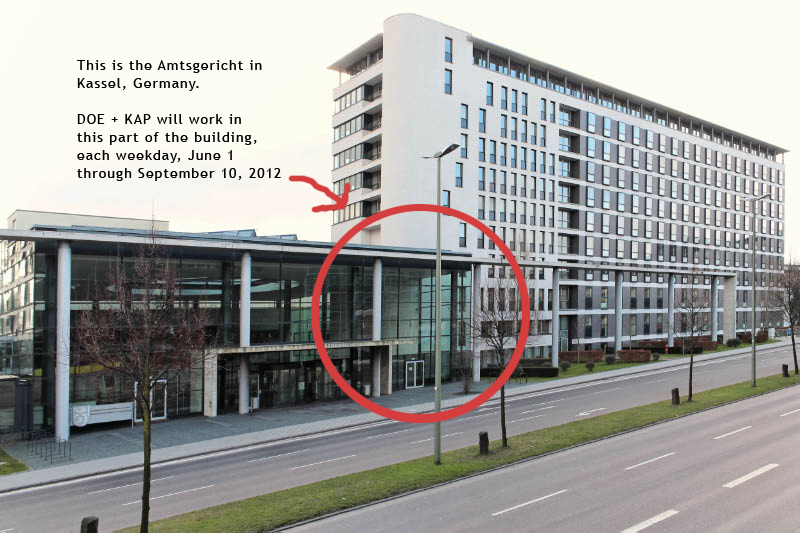 On weekends, we will visit the various art installations and exhibitions that are a part of Documenta 13. We will post our observations and opinions on this blog -- so please stay tuned! Above: The Amtsgericht (Offices of Justice) in Kassel, Germany.